Samsung Galaxy Note 9 event is just around the corner, and leaks are picking up pace. A fresh round of leaks shed more light on colour options, bundled goodies, and possible price tag in the European markets. The Galaxy Note 9 has also been allegedly unboxed in a video, showing off what’s going to be shipped inside the box when it is shipped. Details on Bixby 2.0, expected to release alongside the phone have also surfaced, and more details on the rumoured Samsung Wireless Charger Duo have also emerged online. Starting with the Samsung Galaxy Note 9, Android Headlines has shared image renders of the smartphone in three colour options – Black, Blue, and Brown. The report states that as part of the launch offer, Samsung will bundle goodies inside the Note 9, and images reveal that the black variant may come with a fast charging wireless charger, the brown variant may come with a free Gear IconX earbuds, and the blue variant may see the Gear S3 smartwatch bundled free. The blue variant also has a yellow coloured S Pen, while the other two variants have same coloured S Pens alongside. This blue coloured variant has been tipped before as well, with the same yellow S Pen. Furthermore, the report states that Samsung may name these colour options differently, and it might call them – Midnight Black, Coral or Deep Sea Blue, and Teddy Brown. This also corroborates previous reports that detail colour options. Separately, WinFuture reports that the Samsung Galaxy Note 9 will be priced at EUR 1,050 (roughly Rs. 84,500) for the 128GB base variant (up from 64GB from last year), and will arrive in Black, Blue, and Purple variants. There will also be a 512GB variant priced at EUR 1,250 (roughly Rs. 1,00,600), and will arrive in black and blue variants only. If this pricing is true, users have to put quite a big hole in their pockets for the Note 9. A sketchy unboxing video of the Galaxy Note 9 has surface on Instagram posted by a user named Chinaecarts. This video shows a replica of the Galaxy Note 9, with the retail box, and contents inside. There seems to be the charger, the Galaxy Note 9 device, and the earphones inside. A separate report sheds more light on Bixby 2.0 expected to be unveiled alongside the Galaxy Note 9 on August 9. The Bell reports that Bixby 2.0 will bring a host of improvements in natural language processing, AI functionality, speech recognition rates, response times from its predecessor, and noise resistance capabilities. It will also be able to link with third-party apps, and an SDK may also be open-sourced in the future. This will truly enable Bixby to be more engaging with third-party apps, and not just limit to opening them on the smartphone. 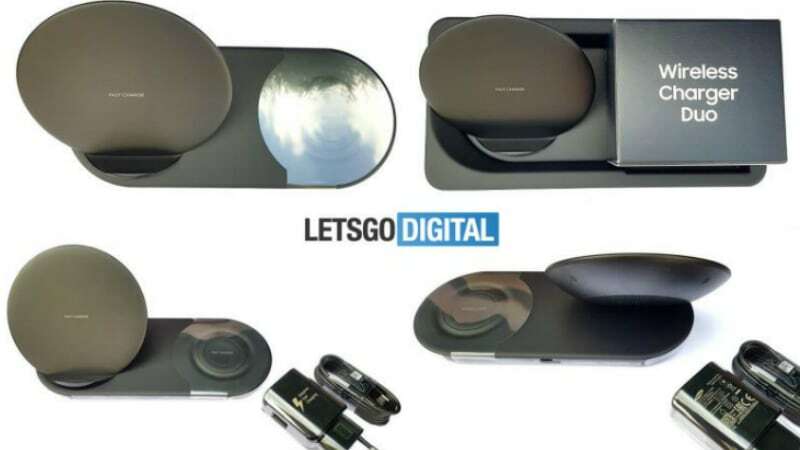 Lastly, more photos of the Samsung Wireless Charger Duo capable of charging multiple Qi-compatible devices have been leaked. The photos shared by LetsGoDigital show that the device can allow a smartphone to charge lying down, or standing down, and a small pad allows for charging the upcoming Galaxy Watch, or other Qi-compatible timepieces as well. Price has been tipped to be at EUR 75 (roughly Rs. 6,000). Samsung Galaxy Note 9 rumoured specifications include a 6.4-inch QHD+ Super AMOLED Infinity Display with an 18.5:9 aspect ratio. The smartphone might be powered by the upcoming in-house Exynos 9820 SoC, coupled with up to 8GB of RAM and up to 512GB of internal storage. There will most likely be a dual camera setup at the back, with primary and secondary sensor specification unknown. Would you do this to a Mercedes-Maybach S-Class? Microsoft Accidentally Releases Windows Update That Bricks Devices: Is There A Fix? BestTechMagazine.Com is Technology News Website. We Provide about all informations about smartphone, cameras, gadgets, news and Electronic store.